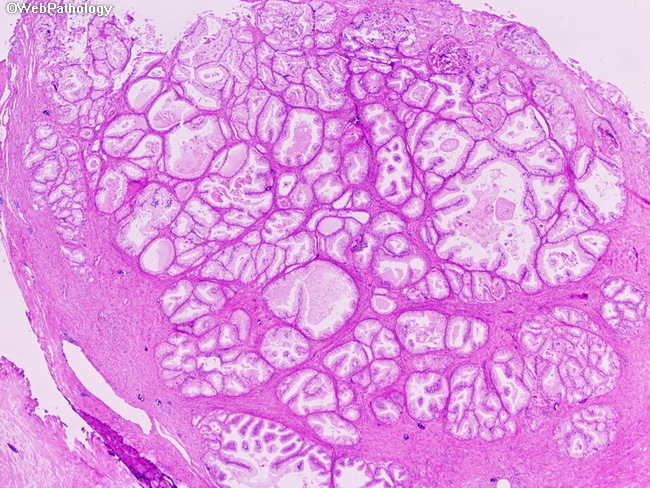 The image shows a relatively well-circumbscribed nodule of closely packed uniform glands. The cancer focus was found in the transition zone of a radical prostatectomy specimen. This cancer focus by itself would be assiged a Gleason score 2+2=4. A higher grade cancer (Gleason score 3+4=7) was found elsewhere in the specimen.